Bethesda, MD, 2018-May-18 — /Travel PR News/ — Research shows consumers increasingly seek out enriching, local experiences when they travel. 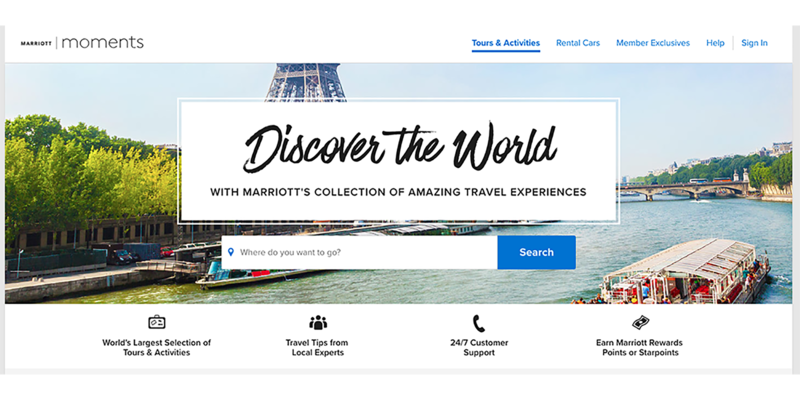 Now, with summer vacation right around the corner, Marriott is rolling out local-area expert recommendations, bespoke categories, and hand-curated lists of things to do on the substantially expanded Marriott Moments to help all travelers and locals discover experiences that speak to their passions and inspire personal fulfillment. This entry was posted in Attractions, Entertainment, Festivals and Events, Food & Drinks, Holidays, Hospitality, Hotels, Tourism, Travel, Travel Marketing, Travel Services, Travelers and tagged Chef Daniel Boulud, Chef Eric Ripert, Chef Stephanie Izard, Gus Kenworthy, Lea Michele, Marriott, Marriott Moments, Michele Tafoya, Stephanie Linnartz, summer activities. Bookmark the permalink.